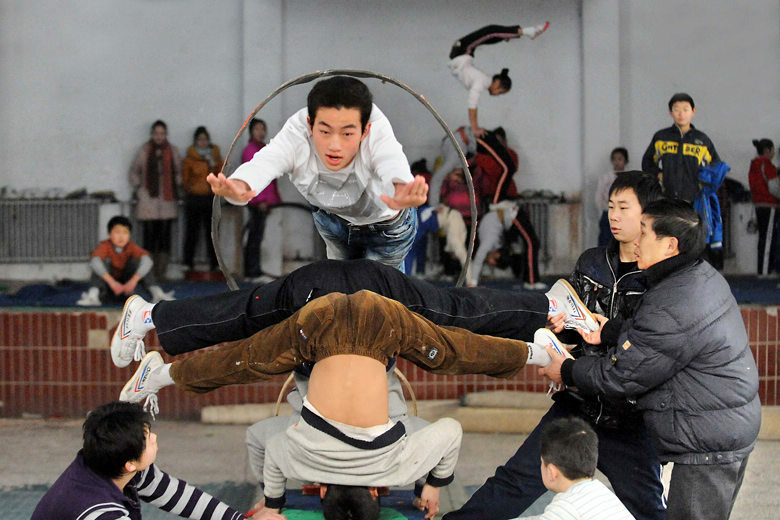 Young performers from 6 to 16 years old with hearing and speaking difficulties comprise a performing team unique in China: Yangguang Acrobatic Troupe. 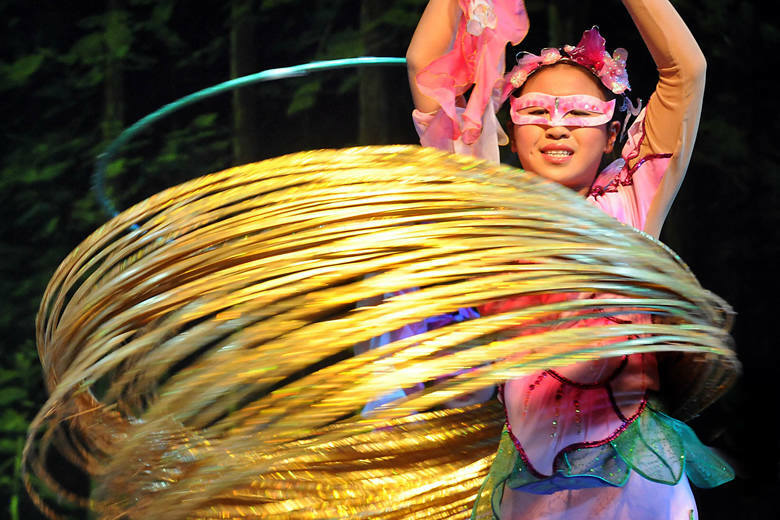 The team, whose name literally means "sunshine," was founded in Puyang City in central China's Henan Province in June, 2008. 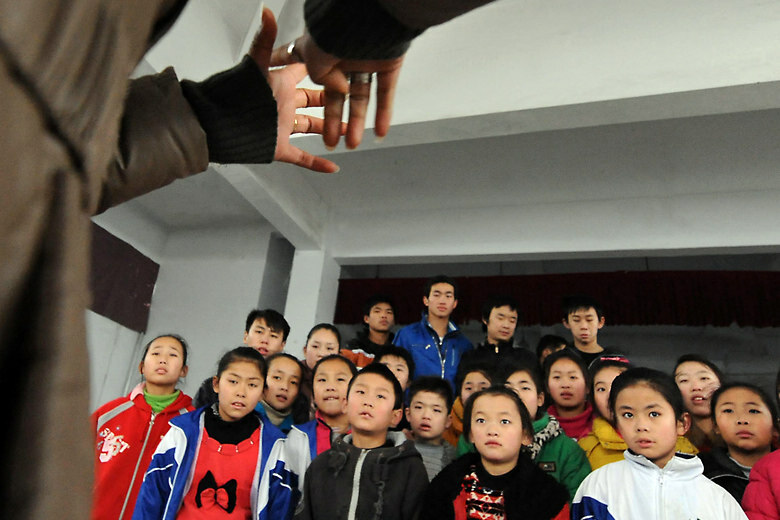 Hard work and perseverance makes these youngsters high-level players. 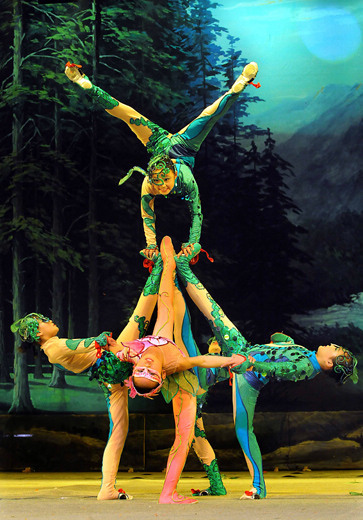 In the past three years, the troupe has produced the acrobatic interpretation of The Thousand-Handed Goddess of Mercy and China's first acrobatic fairy tale Seeking the Sun. 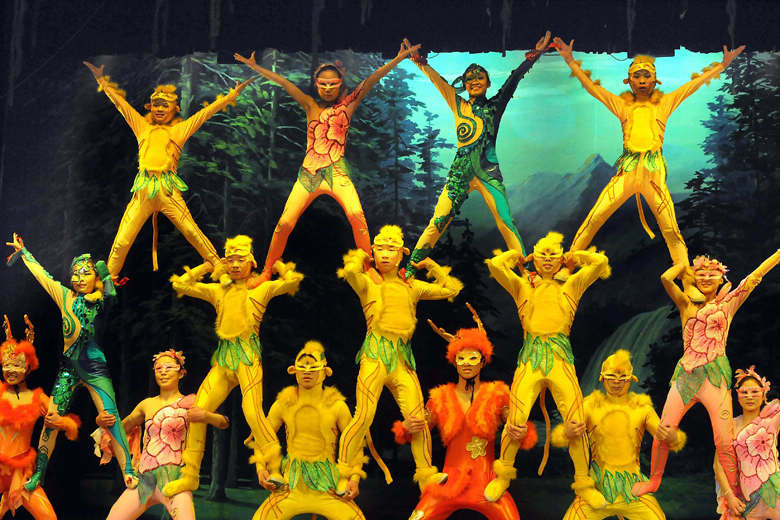 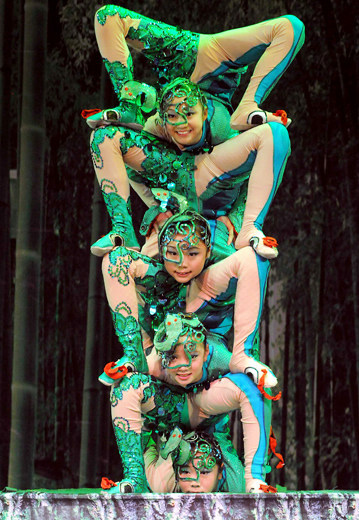 Besides, their body contortion show won a major prize in the Eighth Henan Acrobatic Competition in 2011. 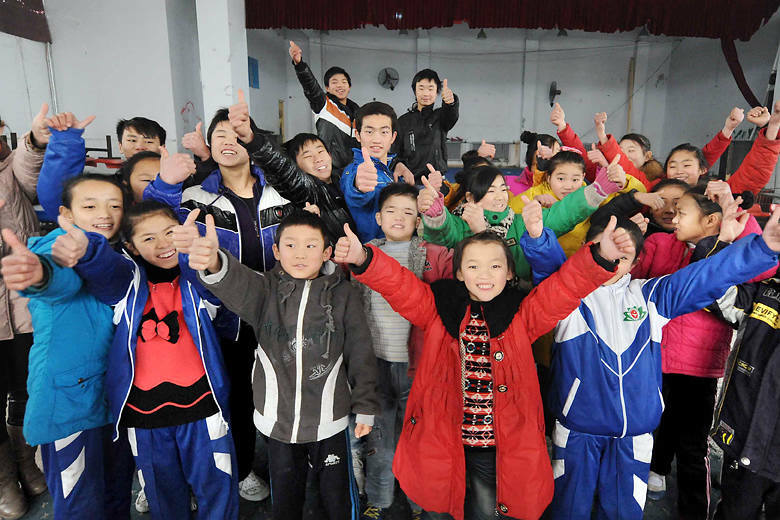 During holidays, these young actors and actresses perform on town squares for local communities.